The new Land Rover Range Rover Velar is now available at Land Rover Wilmington near Newark. This capable SUV offers “lots of cargo space” and a “quiet, polished ride” according to U.S. News and World Report, and we frequently offer Range Rover Velar lease deals to make it even more approachable. Take a look at our online inventory to see our selection of Range Rover Velar configurations and colors. White 2019 Land Rover Range Rover Velar 4WD 8-Speed Automatic 3.0L V6 SuperchargedRecent Arrival! Gray 2019 Land Rover Range Rover Velar 4WD 8-Speed Automatic 3.0L V6 SuperchargedRecent Arrival! Why Shop for the Range Rover Velar Near Middletown? Want to experience the Range Rover Velar S or Range Rover Velar R-Dynamic SE for yourself? How about comparing the Range Rover Velar vs. Range Rover Sport or Range Rover Evoque vs. Range Rover Velar? 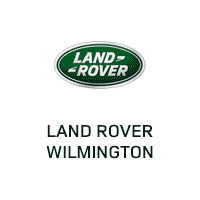 Contact Land Rover Wilmington to set up a test drive.